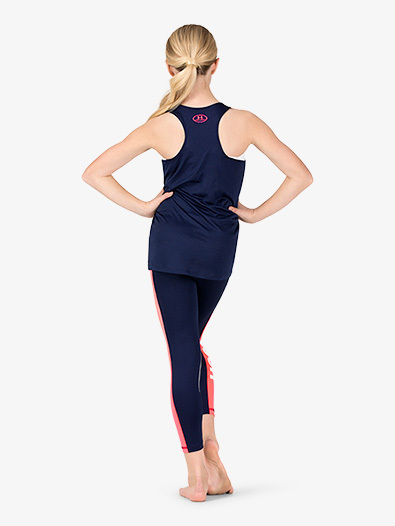 Merging a classic silhouette with a bold logo, this tank will take you from dance practice to the gym, all while keeping the attention on you. 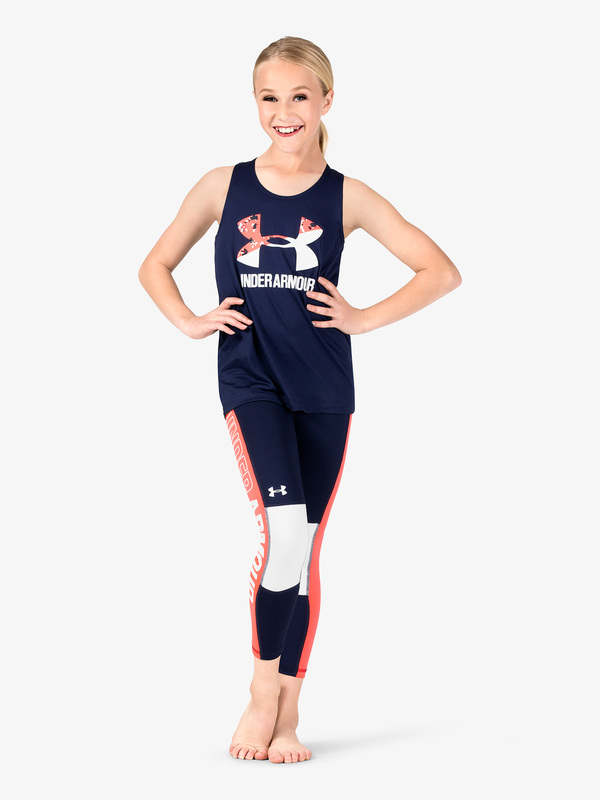 Top features tank straps, an oversized front logo with split colors, a classic racerback, and soft, lightweight fabric that wicks away sweat, offers anti-odor technology, and dries quickly. 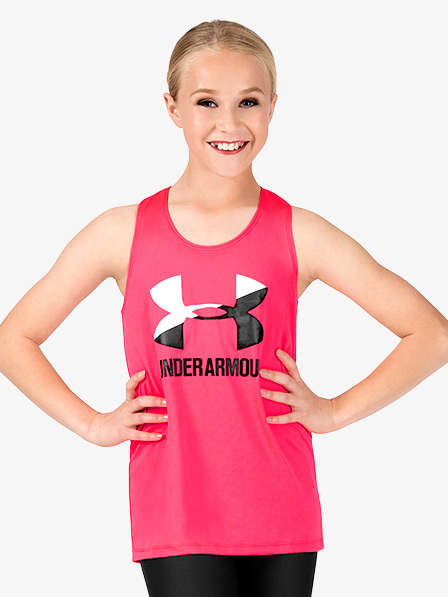 Chest 26"-27" 28.5"-30" 31.5"-33.5" 35.5"-37.5"
Waist 23.5"-24.5" 25"-26" 28"-30" 32"-24"
Hip 27.5"-28.5" 30"-32" 34"-36" 38"-40"